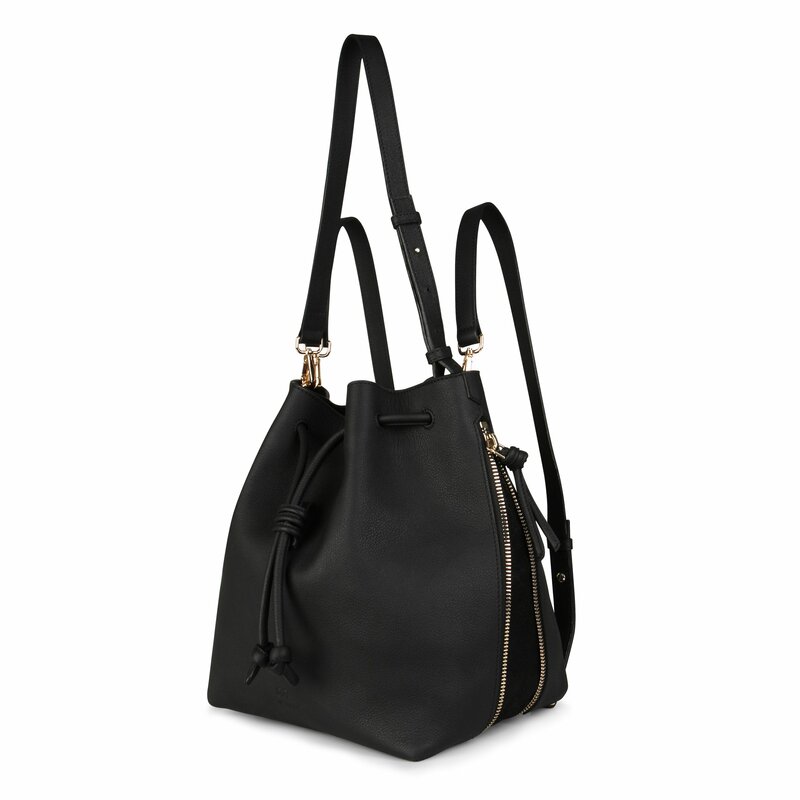 Our Best Seller from the Convertible Handbag collection – thanks to Meghan Markle! 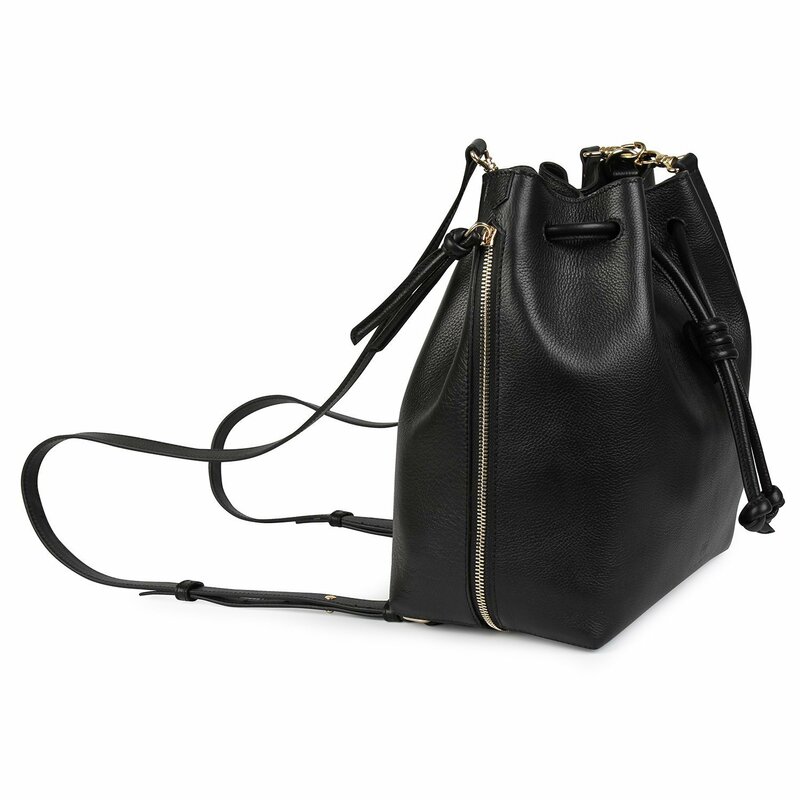 A leather bucket bag that can convert into a leather backpack! The zipped side panel helps to expand the bag when you need extra space inside the bag. The contrasting colour on the sides add a uniqueness and help you adapt your look to different seasons and outfits. 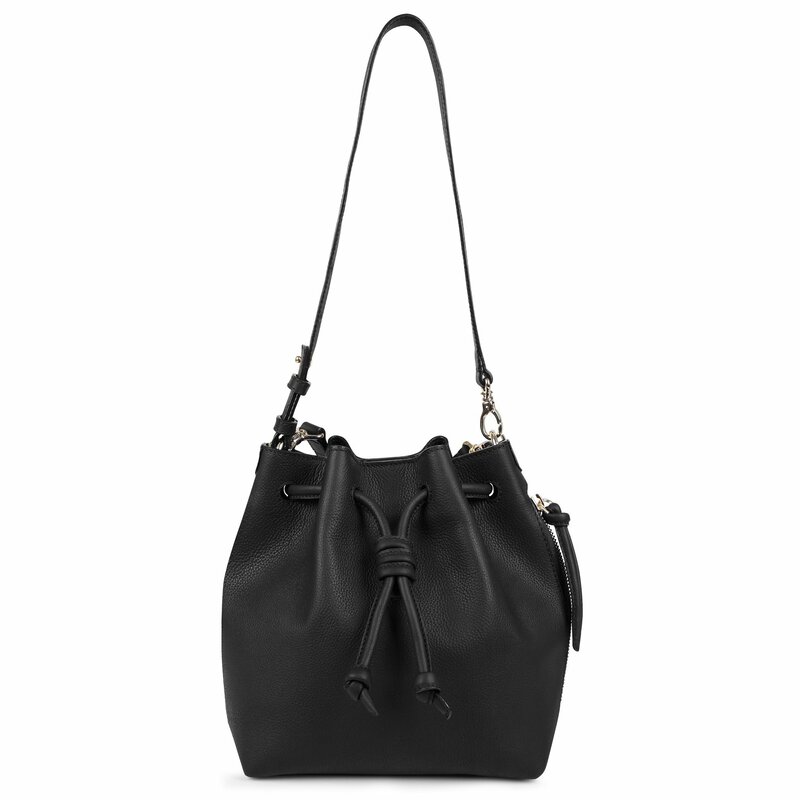 The detachable straps help the bag convert from a leather bucket bag to a convertible backpack easily. Personalise your bag in many ways according to your need. There is secure magnet closure on top, a node and a large zipped pocket inside to keep your valuables safe. 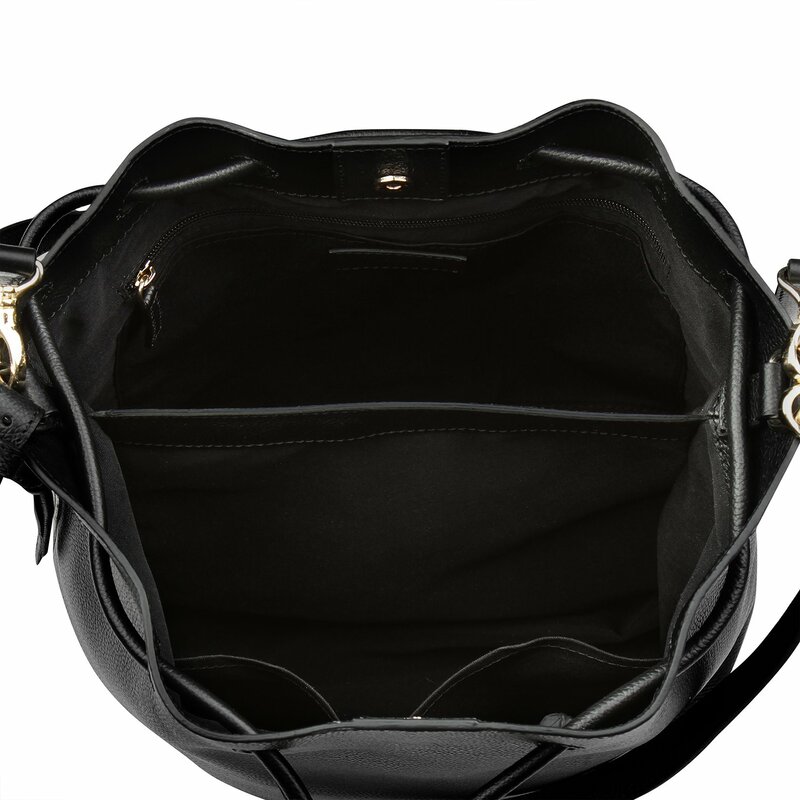 The interior of the bag is large enough to keep your business essentials such as laptop and A4 size files as well as an extra pair of clothes and shoes when expanded. There are two slip pockets inside for a mobile phone and make-up items. Ideal for active, outgoing and creative individuals that would like to look effortlessly stylish at work, weekends and holidays.